MOSCOT frames available in Malaya Optical in Damansara Uptown and Subang Jaya SS15. A vintage and a classic, New York Optical MOSCOT celebrates its 100th Anniversary this year! Although many years have spanned since it's opening (1915), MOSCOT's culture and work ethics still remain true to its roots as a humble, neighborhood optical shop. The history of MOSCOT traces back to 1899, where great grandfather Hyman Moscot traveled from East Europe to the United States and started selling ready-made glasses on a pushcart. Soon, Moscot's son, Sol Moscot took over the family business and started their first retail store at 94, Rivington Street. This year (2015) marks the year MOSCOT has officially racked up to 100 years of craftsmanship in designing and manufacturing eyeglasses. MOSCOT has shown that even with time, it does not fade away - Rather, it's quite the opposite. 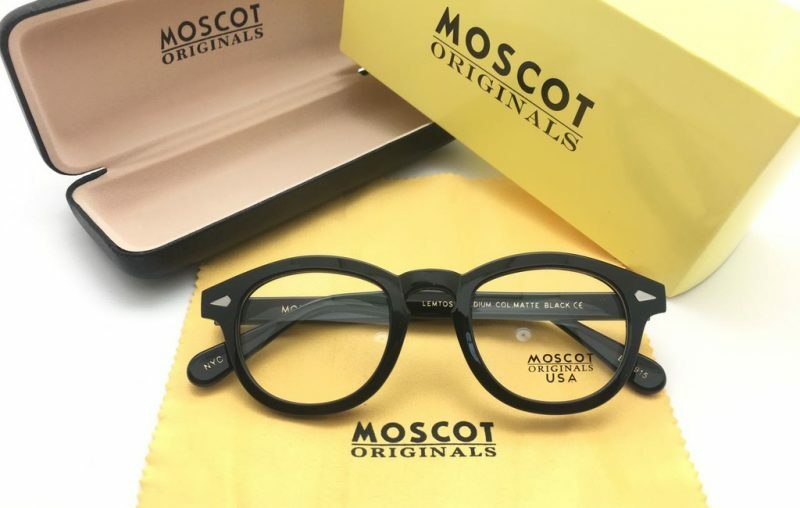 MOSCOT is recognized as a global brand and it's 100 year experience in the Optical Business has refined the company's fashion sense beyond its competitors. Not surprisingly, MOSCOT is a celebrity choice, spotted on the likes of Johnny Depp, Helena Bonham Carter, Drake, Paul Rudd, Julianne Moore, Katie Holmes (Mrs. Cruise). For anyone looking for vintage eyewear and any purists, MOSCOT certainly has a lot of offer. From experimental to original designs, to carefully selected variety in the picked materials of production, MOSCOT boasts a catalogue that speaks culture. More interstingly, MOSCOT's frames have a story or artistic significance behind them. With it's callback to history and significant culture, MOSCOT satisfies not only with it's 100 year expertise in aesthetic design but also on an intellectual level. Whether you're a hippie or a lawyer about to battle it out in the courts of justice, a pair of MOSCOT could be your best friend. Drop by today at Malaya Optical for MOSCOT. We promise we won't bite. Nobody need to be introduce with the 100 Years MOSCOT. MOSCOT is a global lifestyle brand driven by the Company‚ nearly 100 years of eyewear expertise.